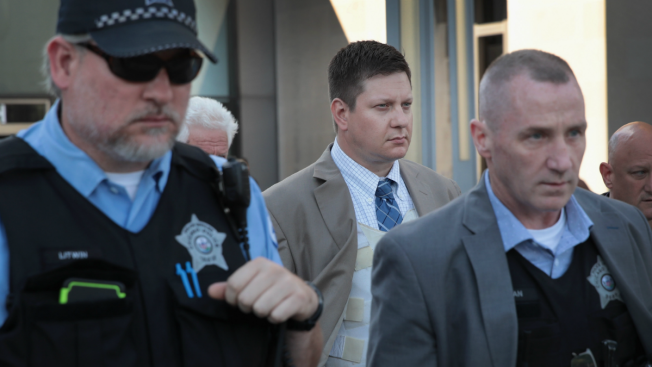 Potential jurors faced a series of questions from attorneys and a judge Monday, with five being seated so far in the high-profile murder trial of Chicago Police Officer Jason Van Dyke. The first juror picked was a stay-at-home mother who knew about the case but told the judge she could set her personal feelings aside. "I want you to look at Mr. Van Dyke," Judge Vincent Gaughan asked. "Can you give him a fair trial?" Juror number one said she could. 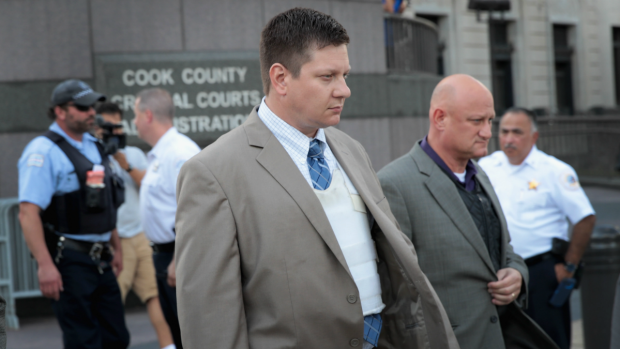 Jury selection was slated to being Monday in the high-profile murder trial of Chicago Police Officer Jason Van Dyke. Susan Carlson reports. Another juror, number 10, was also picked. The woman told the judge she wanted to see some evidence before she forms an opinion. Two men and another woman were also seated in the case as jury selection came to an end Monday. "I know there is video but I have not seen it," one juror told the judge. The judge in the Jason Van Dyke case raised his bail, just days before he is set to go on trial in the shooting death of Laquan McDonald. NBC 5's Christian Farr has the latest on the situation. Hours after questioning began Monday, Van Dyke's defense team filed a change of venue motion asking to strike the current jury panel because prospective jurors had to pass protesters who held signs that said their client had been "guilty of racist murder." 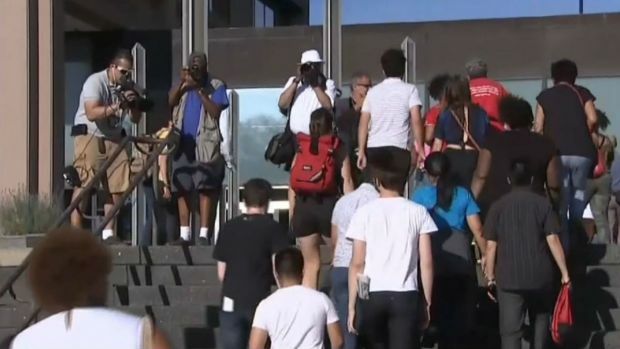 The large pool of 200 potential jurors filled out questionnaires the previous week and returned Monday for one-on-one interviews with the judge behind closed doors. It's not a typical jury selection process, with a much larger-than-usual pool of potential jurors who are facing more scrutiny as attorneys on both sides attempt to weed out potential bias. Lisa Chavarria reports on new developments in Officer Jason Van Dyke's murder trial. Van Dyke is charged with murder in the shooting death of 17-year-old Laquan McDonald nearly four years ago. Van Dyke was captured on dashcam video shooting McDonald 16 times the night of Oct. 20, 2014, on the city's Southwest Side. He was charged with six counts of first-degree murder in November 2015, and 16 counts of aggravated battery in March 2017. Van Dyke entered a plea of not guilty. A judge could soon decide whether to revoke or increase the bond for a Chicago police officer charged with the shooting death of Laquan McDonald. NBC 5's Lauren Petty reports. Attorneys for Van Dyke have filed motions to move the trial outside of Cook County, claiming he would not be able to get a fair jury because of extensive publicity on the high-profile case. The judge said he would rule on that once questioning of potential jurors is underway. Should the trial stay in Cook County, jury selection was expected to take a week or longer. His lawyers had also previously moved to dismiss murder charges against the officer, saying a grand jury "hastily" indicted him based on false information and that the shooting was in fact "justified." A judge declined to dismiss the murder charges in May 2017. 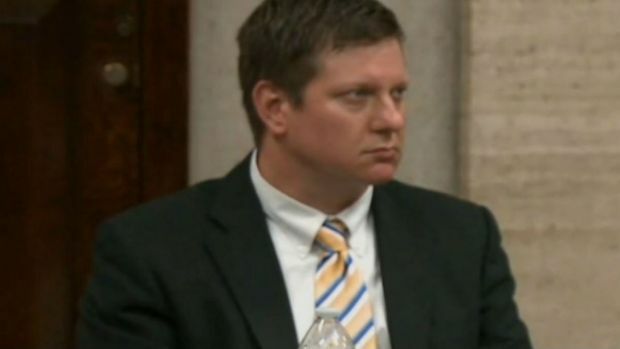 The jury selection process has begun for Officer Jason Van Dyke's murder trial. About a hundred protesters however, gathered outside the Leighton Criminal Courts building Wednesday.NBC 5's Christian Farr has the details. Public outcry in the case sparked change at the Chicago Police Department and beyond, from the firing of then-Supt. Garry McCarthy to the electoral ousting of former State's Attorney Anita Alvarez, as well as the creation of the new Civilian Office of Police Accountability to investigate officer-involved shootings. Three other Chicago police officers were also charged with multiple felonies - conspiracy, official misconduct and obstruction of justice - for allegedly attempting to prevent or shape the investigation, special prosecutor Patricia Brown Holmes said in June 2017. Dashcam video of McDonald's shooting was released in December 2015, sparking widespread protests that have continued at Van Dyke's court hearings. There's a potential new twist in the Jason Van Dyke murder case. NBC 5's Charlie Wojciechowski has the details on insight into what the defense is now arguing. In August 2016, CPD Supt. Eddie Johnson recommended Van Dyke's firing to the Chicago Police Board, who granted a motion to halt the proceedings until the criminal case against Van Dyke was complete. He remains suspended from the department without pay.